Who can resist snuggling up with a hot water bottle on a chilly night? Especially when your bottle has its own woolly jumper! This rainbow-coloured, roll-neck hot water bottle cover comes with a standard size 750ml hot water bottle inside and costs just £9. Laura Ashley has a range of offers on at the moment including up to 30% off on homewares, and three-for-two on a range of gifts and accessories. 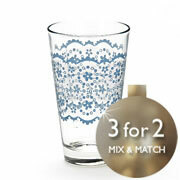 I love their casual dining tableware like this pretty lace-detailed tumbler at £4, available in pink and blue. The pink is currently sold out on the website, so if you think it's the perfect gift for someone (even if that someone is you! 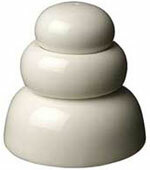 ), pop into a store. 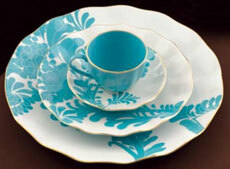 I've just seen this gorgeous Kate Spade Gwinnett Lane China and couldn't help but mention it for our lovely US readers. In a beautiful turquoise floral porcelain it coordinates with the other colours in the Gwinnett Lane range (chocolate and creme), and has a fine gold band around the edge. This scrumptious china is dishwasher safe and starts at $12 for a saucer, moving to $23 for a dinner plate and goes up to $70 for a serving platter. Ever been in that embarrassing social situation where you've had friends over for champagne and...shock...you realise it's too fizzy?! 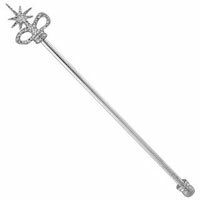 For the person who has everything, why not give the Torrini Champagne Stirrer this Christmas. Ostensibly to 'eliminate excess gas' from champagne (I always thought the point of bubbly is, well, being bubbly), I think it'd make a lovely cocktail stirrer, or, as they suggest, magic wand. It's sterling silver, hence the price - a touch over £70. 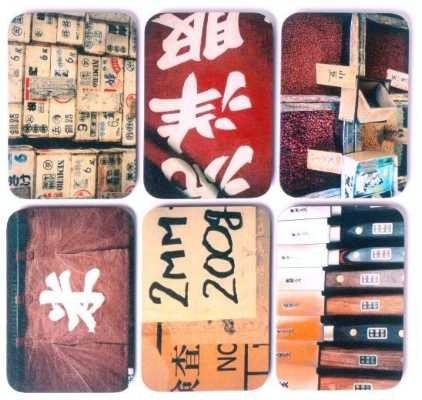 I love the idea of having sets with the same theme but different images or designs, which is why these asian-inspired coasters from Ella Doran caught my eye. Ella's fabulous photos are sandwiched between a cork base and laminate to create the mats and there are matching placemats available. There's also an asparagus and artichoke set in greens and yellows, and a brightly-coloured fruit range. You can buy the mats from BLUEdeco for £19.50 and delivery is free in the UK, plus they ship internationally. 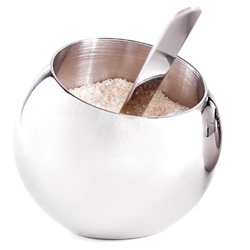 There are a number of rounded sugar dispensers out there, but none are as elegantly simple as this British-designed Sugar Ball available from Mojo London. It's £19.50 including free delivery, and Mojo also offers a matching Milk Ball at the same price. They're made from stainless steel and are dishwasher safe (yay!). Long gone are the days when the only options for crockery were plain white, a sedate Wedgewood with a gold rim, or perhaps a bit of earthy blue Denby. Whimsical or mis-matched is everywhere right now to brighten up your home dining experiences. Danish designers Rice are launching their very pretty new handpainted range of tableware, DELICIOUS, at Pulse next week. Unfortunately, no further details or images on their site as yet but they have a new website in the works. UK designers Freckle create beautiful, functional bone china tableware for adults and kids. Their Kimono range has a very delicate, serene feel and includes these vases, just perfect for holding the lilac blossoms covering trees in the UK right now. Spring has finally arrived! From across the pond, Lena Corwin creates funky plates with unusual designs. My fave is the Travel plate - designed for adults, but I recently sent it as a gift to my young nephew who squeaks 'giraffe' and 'dragon' as he eats and uncovers the pictures. Lena's plates are all in sturdy melamine, meaning they're dishwasher safe, but unfortunately can't go near the microwave. All plates $15-20. A US favourite for vintage style and a bit of whimsy, Anthropologie has me coveting their Butterfly Study series of tableware (I do love nature-inspired items). Well, that and just about all their other ranges as well. The butterfly range is from $38 for the serving plate to $56 for a set of dinner plates. Such a shame they don't ship to the UK!